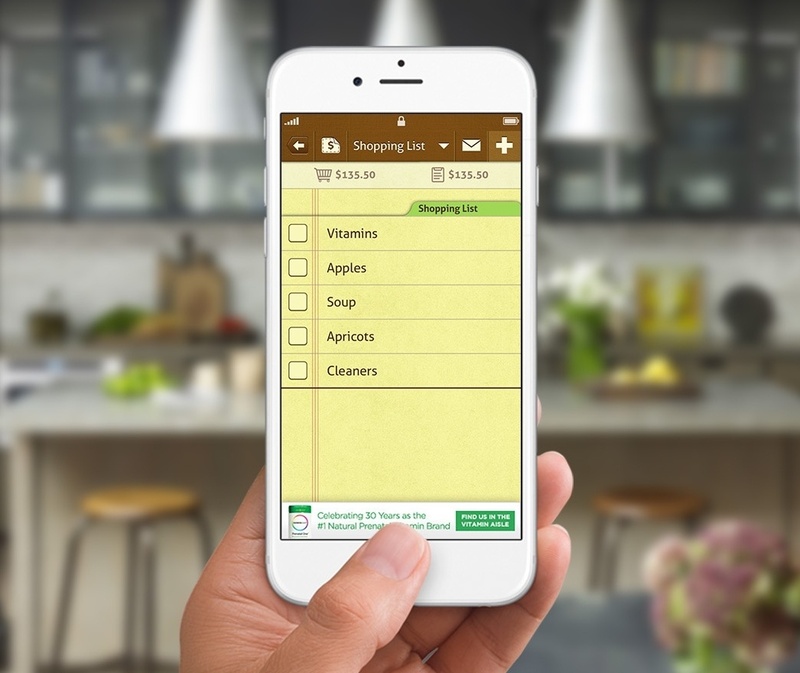 The shopper marketing practice at Rainbow Light was looking for new innovative ways to reach, engage, and convert shoppers. 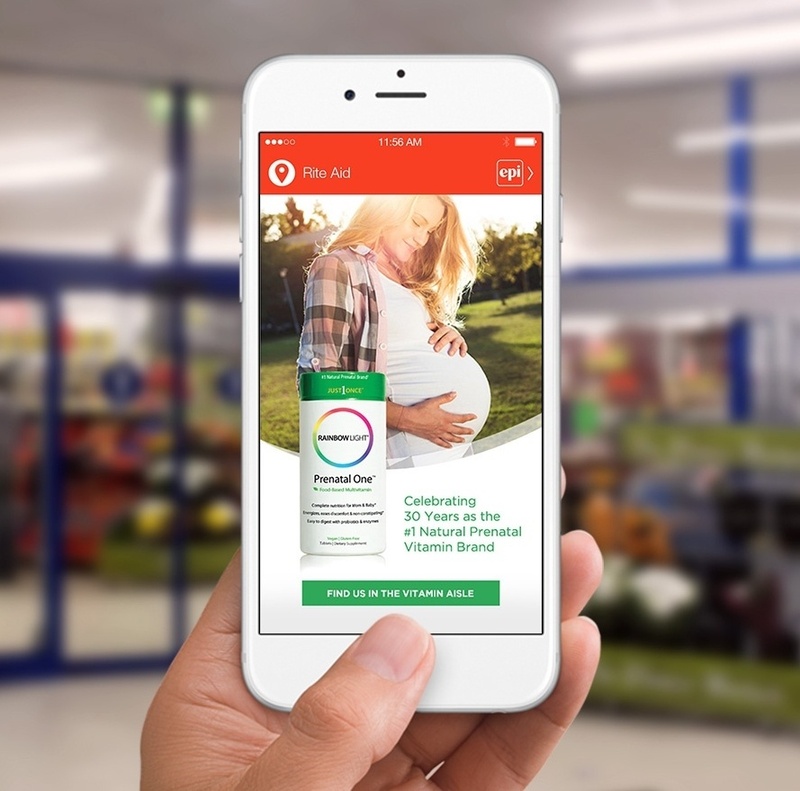 With internal research indicating that much of their target market was turning to mobile to aid in making purchase decisions, Rainbow Light needed a solution that would enable them to connect with their audience via mobile during times purchase decisions were being made. 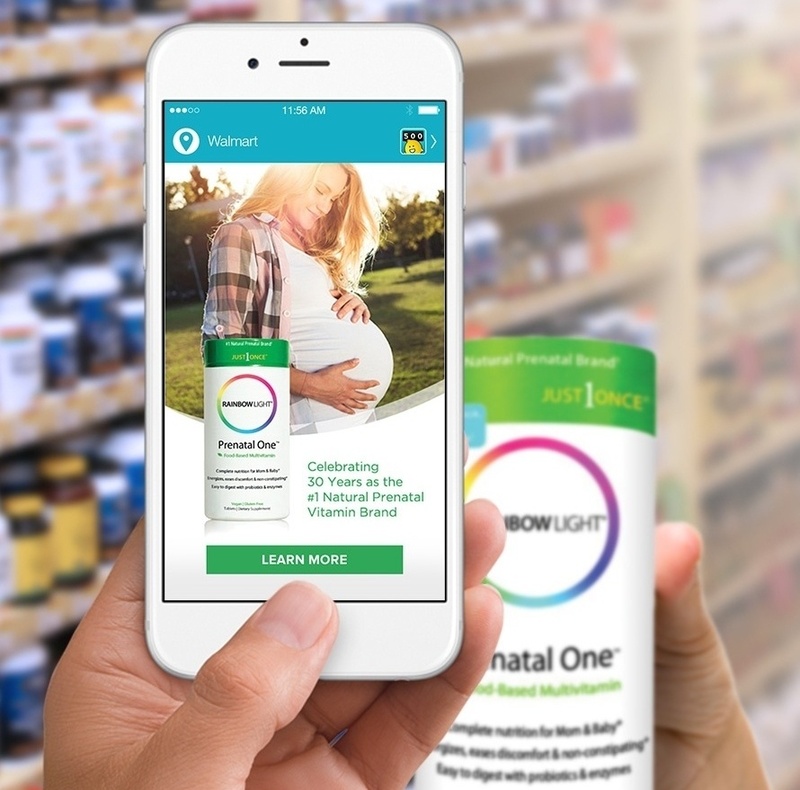 Rainbow Light was also looking to test new, simpler brand messaging among different demographics in hopes to learn more about their customer base. Looking to overcome these challenges and ultimately increase brand awareness and market share, Rainbow Light tapped inMarket, the largest mobile consumer engagement platform, to help. inMarket took Rainbow Light’s new simpler, brand message and amplified it to a massive audience of over 50MM MAUs across the U.S. By using a combination of inMarket’s solutions, Rainbow Light was able to predictively reach their target audience during times while they were planning a shopping trip as well as when they were in-store, making purchase decisions. Rainbow Light used Preceptivity to drive brand awareness and pre purchase consideration by reaching shoppers only during the times they were most receptive to receiving Rainbow Light’s brand messaging. 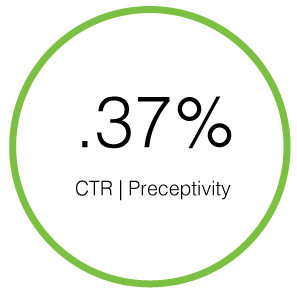 Using best in class location technology such as beacons and GPS, inMarket is able to pinpoint shoppers the moment they enter the store. Connecting them with the Rainbow Light’s message at the perfect moment. Upon entering a store, engagements were deployed to initiate the mobile moment, native, in-app engagements designed to remind the shopper of the Rainbow Light brand. 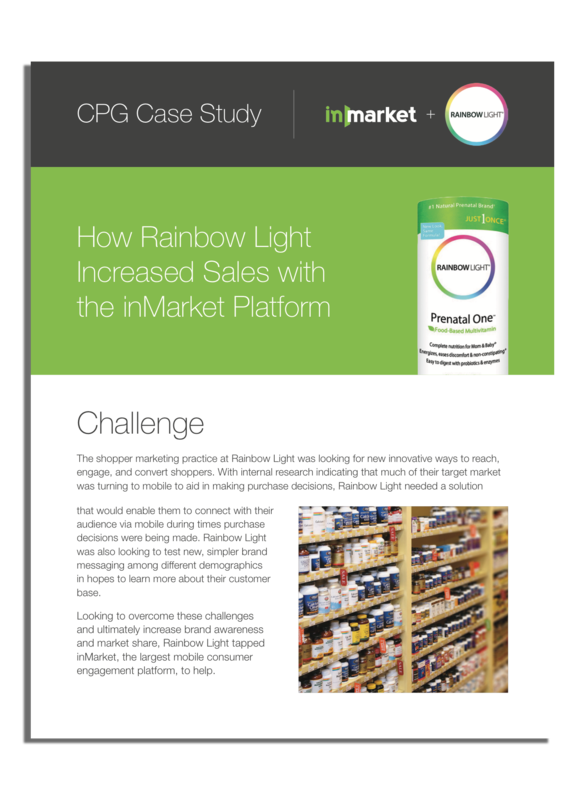 inMarket also drove rewards-seeking shoppers to pick up Rainbow Light products off the shelf and experience the brand with their own hands. Rainbow Light’s campaign with inMarket delivered tremendous results that not only drove an increase in brand awareness and sales, but also provided insights about their customer base. At the end of the campaign, Rainbow Light’s Preceptivity banner ads experienced a .37% CTR, exceeding baselines for similar placements without targeting. Moments received an astonishing 5.24% CTR, demonstrating high consumer engagement and receptivity to the message. Rainbow Light also gained valuable insights about their customer base. Learning that male’s were engaging with their messaging more than anticipated, Rainbow Light is now able to adjust their messaging accordingly in future campaigns. 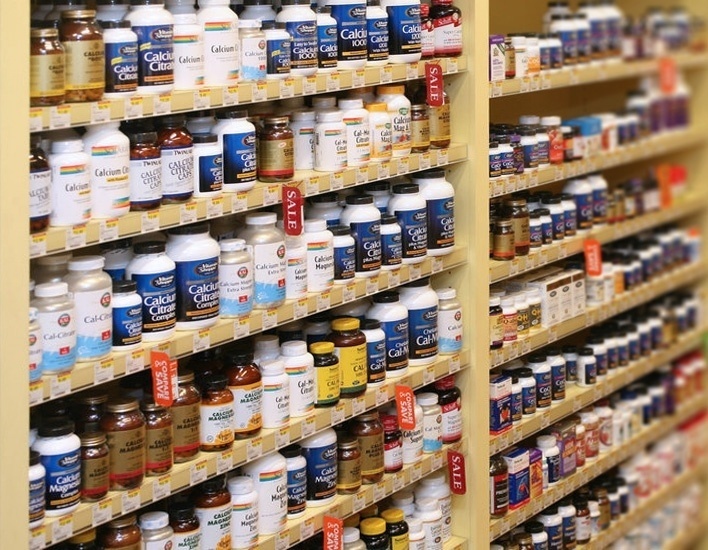 Overall, the campaign saw a 125% ROAS of and an increase in overall sales volume by 15%, dramatically exceeding the brand’s expectations during a period of decline for the category.